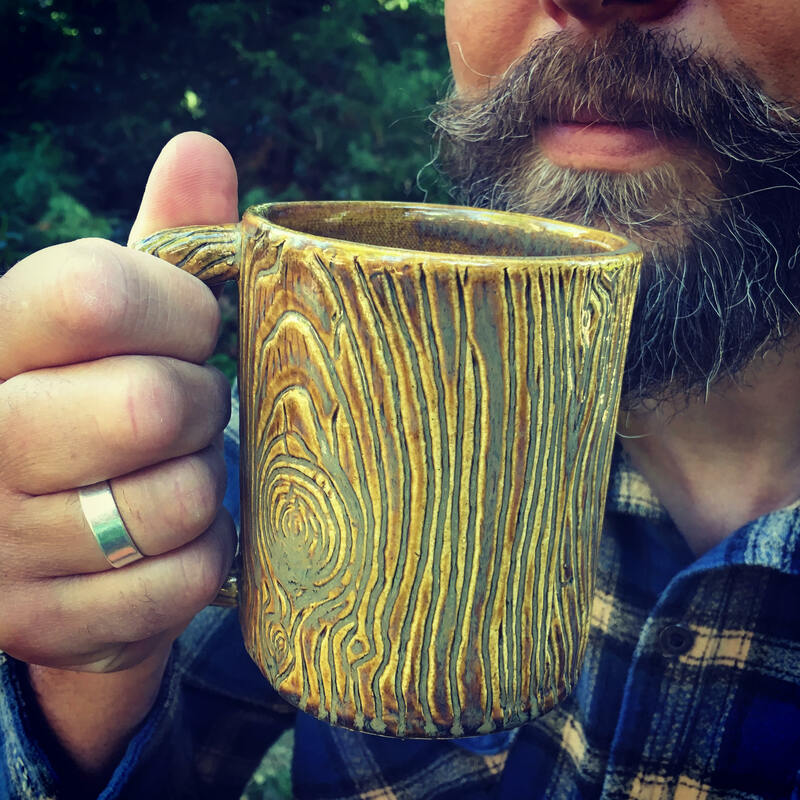 This is the perfect morning wood coffee cup for the Lumbersexual, wood worker, beard enthusiast, woodsman or rustic woman in your life! 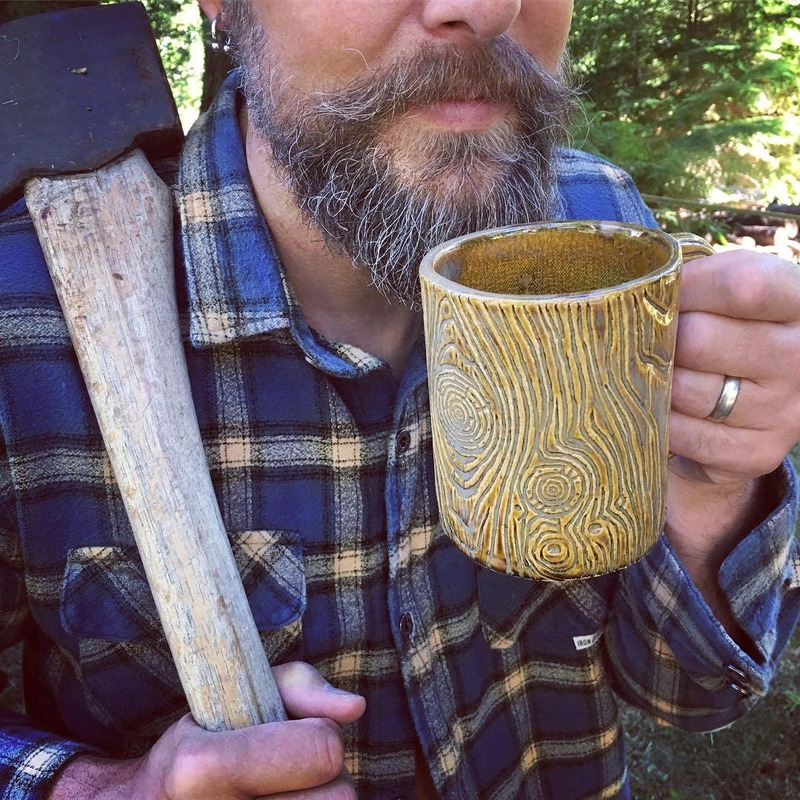 The Lumberjack mug holds approximately 16z of coffee, tea or beverage of your choice. 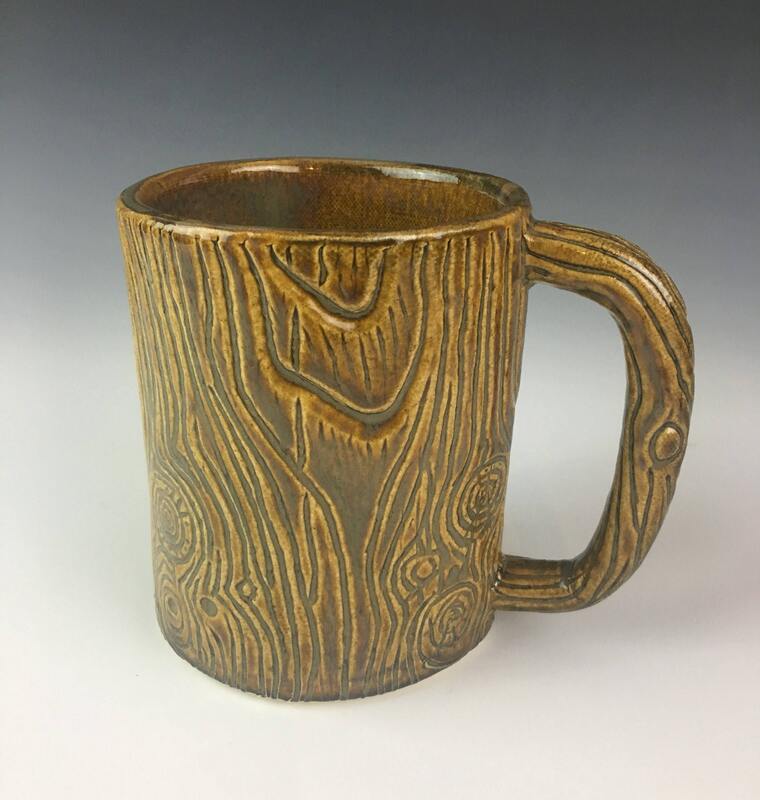 Yes, you can actually feel the woodgrain texture. 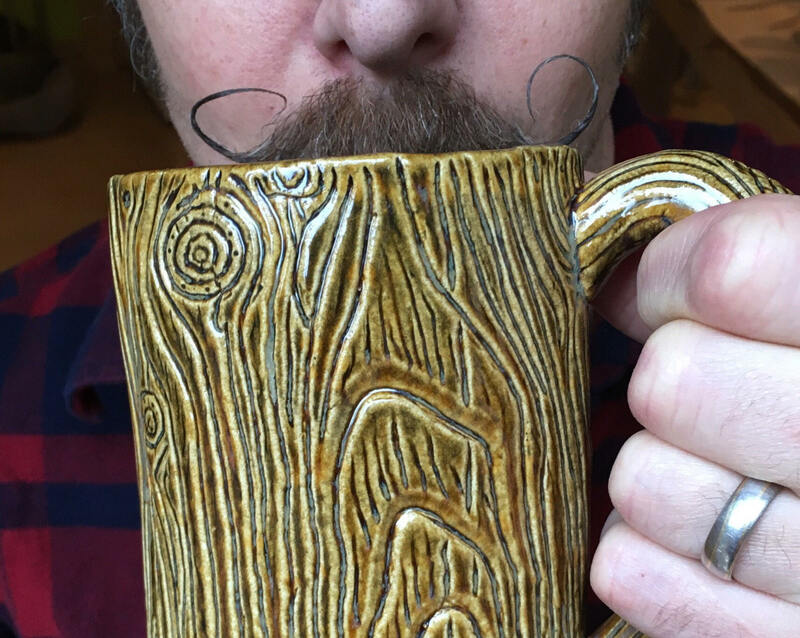 Comfortable, roomy handle, manly-mug size, lead-free glaze, dishwasher and microwave safe. 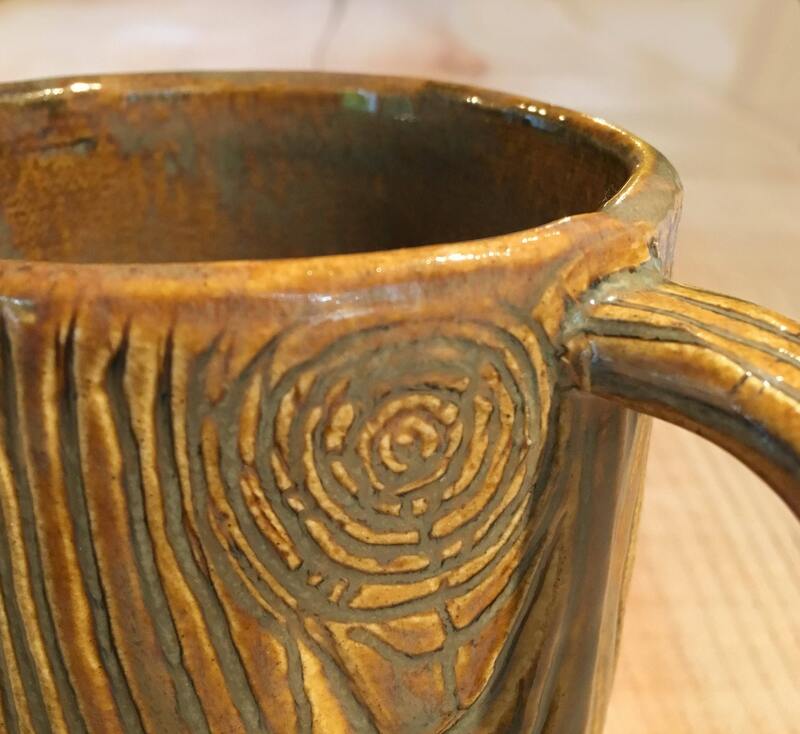 Handmade by Meredith in her Fern Street Pottery Studio. See my shop for more handmade originals! 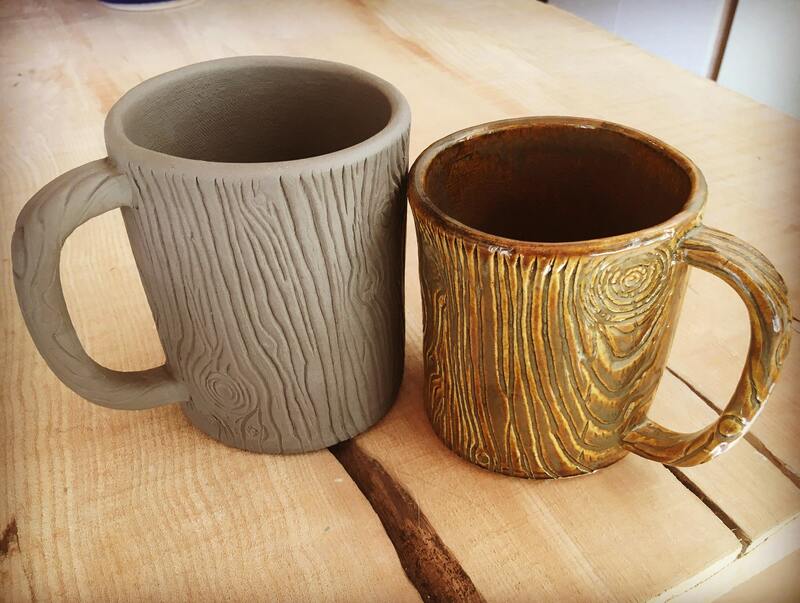 Also available: shot glasses/whisky sippers as well as vases. (If you don't see it listed, just ask as I may have it in stock.) No two are exactly alike, but sets are very well matched. 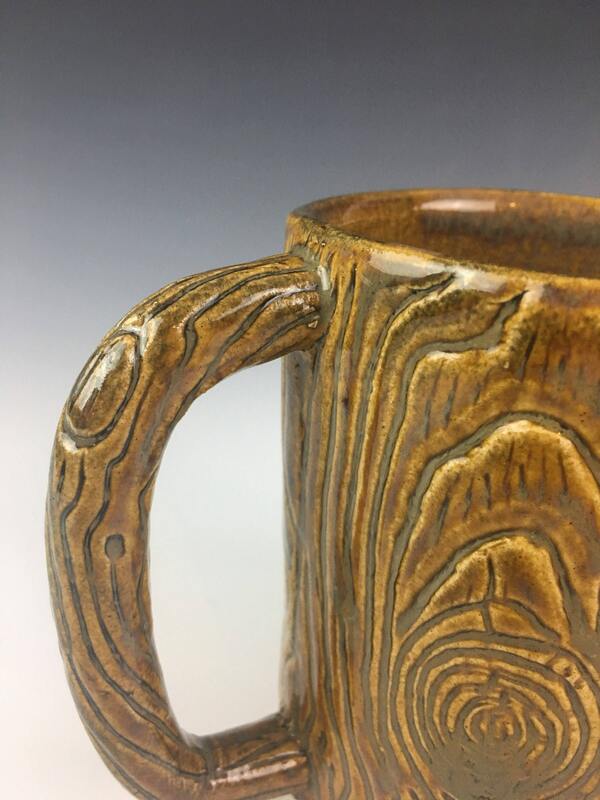 This listing is for one mug, but I am happy to combine/discount shipping on sets. Made one at a time, by hand, in the woods. 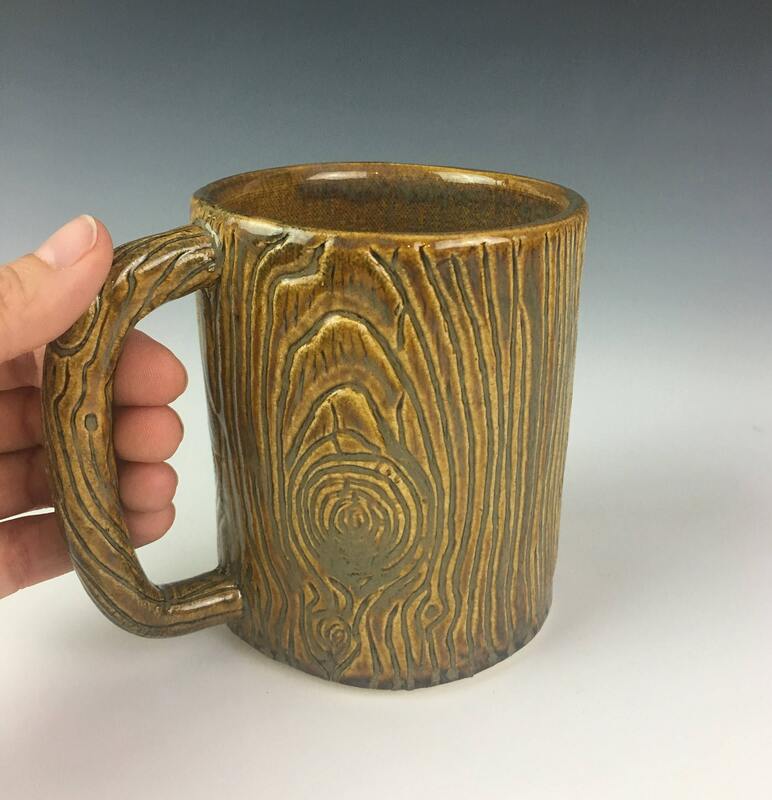 **Please note this mug is approx 16oz, not the extra-large 20oz size. 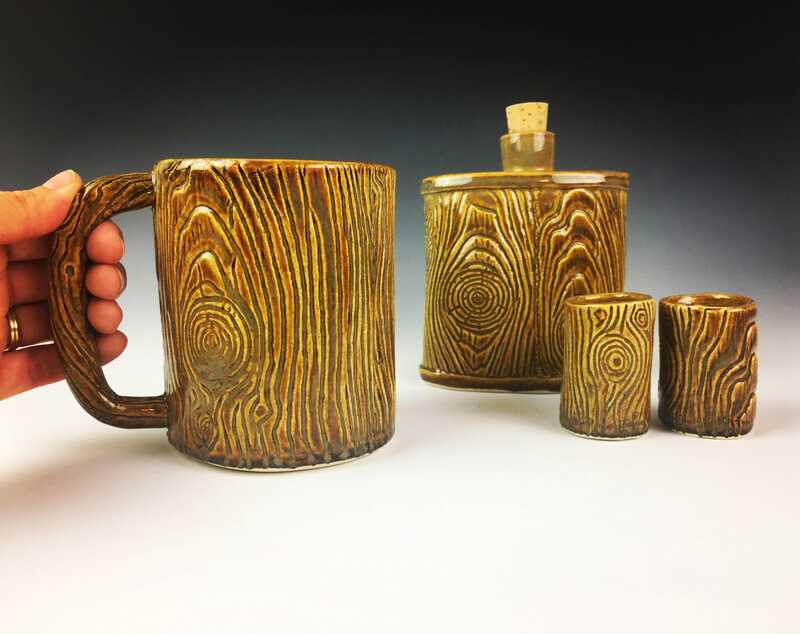 Lumberjack shot glasses and flask available too! Woodgrain Vase available! please peruse the shop.